Reno shortstop Ildemaro Vargas took the second pitch out of Cody Martin’s hand out of the park. From that point on, the 51s never had a lead in a 9-5 loss to Reno on Friday night at Cashman Field. Reno shortstop Ildemaro Vargas took the second pitch out of Cody Martin’s hand out of the park. From that point on, the 51s never had a lead in a 9-5 loss to Reno on Friday night at Cashman Field. Vargas’s home run was part of a four-run Aces first inning. Martin gave up five hits in the inning and three of the four runs with two outs. That was the bulk of the damage the Aces did off the starter, though they did score another pair of runs off him in the fourth on a home run. In total, Martin gave up six runs on seven hits in his five innings pitched, putting the 51s (58-59) in a deep hole. The 51s, meanwhile, didn’t score a run off Reno (61-56) starter Jake Buchanan until the fifth inning. The 51s started to mount a comeback in the middle innings against Buchanan, scoring a run in the fifth inning on a Colton Plaia groundout and two more in the sixth on RBI hits from Christian Colon and Patrick Kivlehan. They brought the go-ahead run up to the plate in the frame after loading the bases but a Plaia pop-up ended the threat. 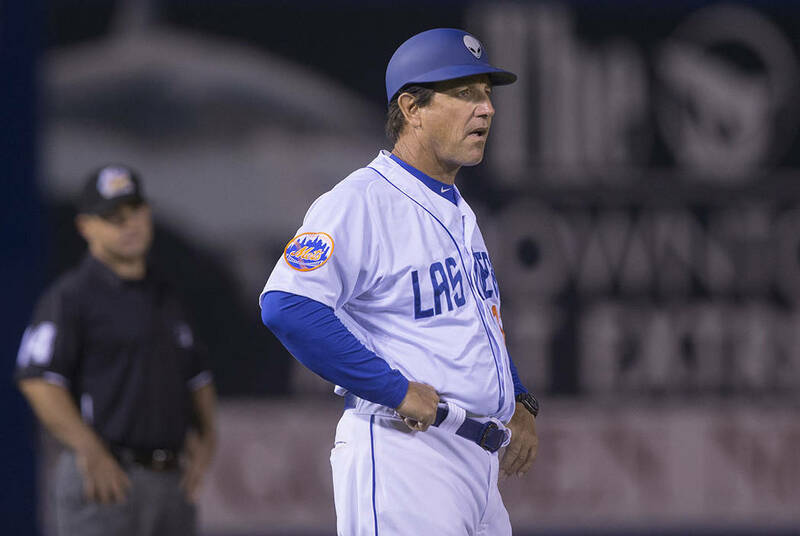 After cutting the lead to just three, Buddy Baumann and Tim Peterson gave up a combined three runs in the seventh inning, stunting any momentum the 51s may have had. After that, Peter Alonso hit a two-run single in the seventh inning to bring Las Vegas within four. Though the Aces were able to fend them off, the 51s did put some pressure on Reno, loading the bases in the ninth before a pop-up ended the game.